As a financial service provider, it is obviously not your responsibility to ensure that each one of your customers is financially secure, however, you can put programs and resources in place to expand your institution’s financial platform and assist your customers in the event that they don't have access to information, a trusted adviser, or investment products. Further, by offering retirement solutions to your customers, through an investment program, you open up a new stream of non-interest income. Here are 3 ways you can engage your customers to start saving for retirement. According to a survey conducted by ORC International, 91% of Americans want a financial adviser to take a holistic approach to their financial planning, including all aspects of their financial situation. This means that your checking and mortgage loan customers are looking for someone who can advise them on their entire financial picture—everything from debt management, to financial planning, to retirement planning, to risk management through life insurance strategies. Creating an integrated, firm-wide financial management platform is a great way to enable holistic financial planning. Today’s technology makes delivering holistic advice and planning offerings to a mass and affluent client base more viable than ever before. Offering a cloud-based platform would allow data to be drawn from systems both at your financial institution and from outside accounts as authorized by the client. This would also enable deeper, richer interactions with an advisor and the financial institution itself. This integrated infrastructure can be used to support a variety of advice experience, whether self-service, face-to-face interaction, or a combination of the two. Consumer education goes a long way toward improving customer loyalty and engagement. 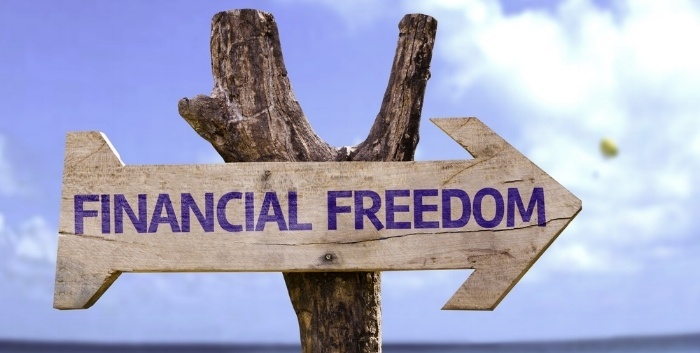 Providing education about key financial issues clients face at various life stages can help overcome the product familiarity barrier, explain the complications of competing priorities, and teach the value of working with an advisor and having a financial plan. The more personalized the educational content, the more likely it is to be consumed and valued. Data and analytics can be used to turn an educational platform into a focused and personalized tool targeted to a specific client based on such factors as age, wealth and financial needs. Education can also be delivered via self-service technologies, giving the advisor more time to focus on developing new client relationships and strengthening existing ones. Fostering disciplined retirement planning in the workplace is another way to educate and engage clients and prospects. For many people, a workplace plan is their first exposure to retirement savings and investing. The workplace is therefore an ideal forum in which to tackle the communications barrier and encourage saving. Leveraging the power of automation can help combat inertia in setting aside retirement savings. Auto-enrollment in workplace plans establishes payroll deferrals, and automatically becomes a task that the plan participant doesn’t have to think about. Most financial institutions target older consumers for retirement plans as they generally have more wealth, and retirement is a more pressing issue for them, making them better prospects and more profitable customers. However, targeting the younger generation for retirement services is a smart move as they have a big factor in their favor: time. Saving even small amounts from a young age can have a positive impact on retirement preparedness. Financial institutions can design educational programs for the teenage children of clients and to promote externally for prospects with teenage children. Such programs could begin with the basics of personal finance, then move on to more complicated and important financial decisions around life events such as going to college or marriage. More advanced programs can be developed for young professionals, addressing questions on housing, their children’s education, and of course, retirement. Some individuals may have the best intentions to save and invest, but simply do not get around to it. If inertia sets in, clients may neglect to open a retirement account, transfer assets, and/or decide how to invest those assets. By taking as much conscious effort out of the process as possible, financial institutions will be well on their way to getting their customers to save more. SWBC offers retail investment programs that can help your customers build wealth and ensure their future financial security. To learn more about our programs, click here!